The other tanking specs follow a rough pattern: one expensive and powerful AM, one weak and cheap AM. Vengeance has a similar pattern: the expensive and powerful skill is Soul Cleave at 400 Pain, and the weak and cheap skill is Demon Spikes. Soul Cleave and Demon Spikes are similar to a warrior’s Ignore Pain and Shield Block. Even warrior and demon hunter masteries are similar in that they increase the effectiveness of their mantenance skills, and the resource ratio is the same between the two skills. As for traditional resources, Havoc uses Fury, which acts a lot like Rage as a builder/spender single resource. Some Vengeance abilities reference Pain, and Pain looks to be generated from Shear. 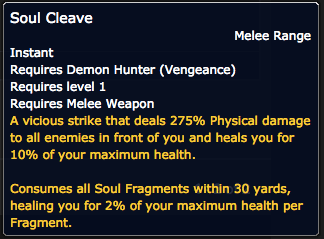 Shear is similar to Felblade except it has a shorter cooldown and only spawns one Soul Fragment to Felblade’s three. Maybe the Pain resource hints at a choice to be made? 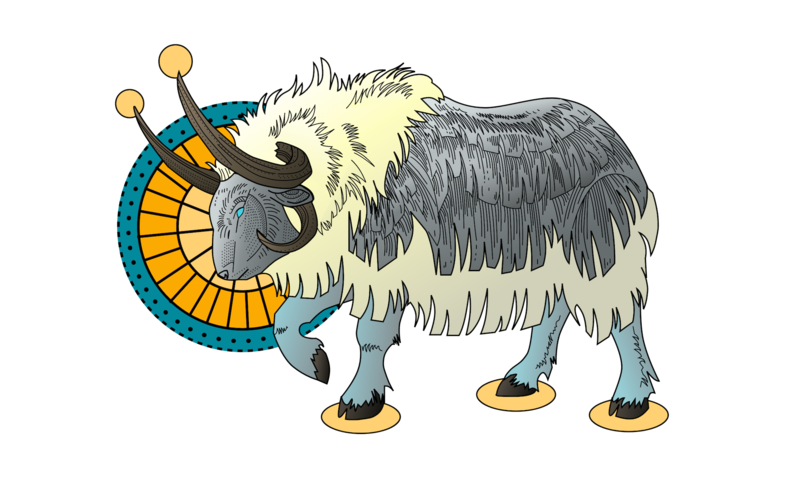 If Demon Spikes were to consume Pain, then more frequent usage of Shear would mean more reliable uptime on the damage reduction buff but fewer Soul Fragments to consume for healing. There may be an interesting challenge in generating enough Pain to maintain Demon Spikes and enough Soul Fragments for a nice heal from Soul Cleave. As an aside, generating 5 Pain when your cheapest skill uses 100 Pain feels a little out of place, so it’s reasonable to believe that the primary source of Pain is something other than Shear. My best guess is that Pain is gained from damage taken because that would make sense given the name. Also, the theme of Vengeance demon hunters is probably vengeance-related, so you would use the damage the enemy deals to you against them. 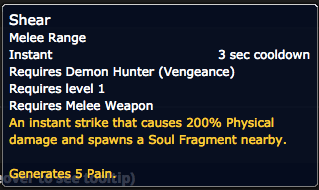 This would also align with warrior rage, which is generated from damage taken and used primarily for defense. However it turns out, demon hunters are forming into a far more heal-intensive tank than I would have expected.